RETURNING FOR 2019! Get ready Zac Brown Band fans, it's your time to shine as the incredible band takes to the road on their 'Owl Tour' this Fall season.. they never fail to bring the energy and the charisma to their performances. And Zac Brown Band always bring their back catalogue of their much loved hits – come and catch it all LIVE at Xfinity Theatre on Sunday 8th September 2019! "When it comes to the setlist, Zac Brown Band concertgoers never quite know what they’re going to get — but in terms of quality, they can always expect it to be top notch. The tune quickly ramped up the near-capacity crowd, many of whom continued to loudly cheer and sing along." 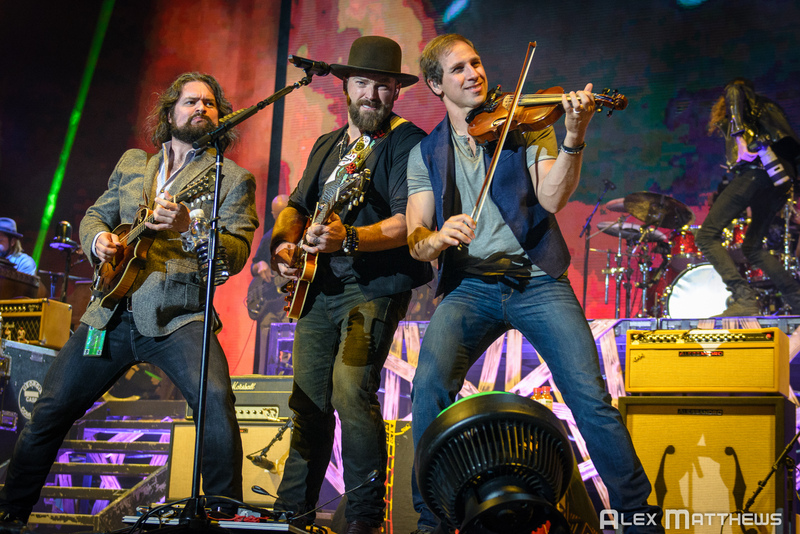 Zac Brown brings an energetic show that will stay in your heart forever! Full of classic hits and exciting new material, this is one that cannot be missed! As usual they will beautifully blending; Country, Roots, Reggae, World and Pop music… for a sensational evening! Zac Brown Band are nothing but true musicians and the real deal as they hold all of the passion and sheer talent that makes for a genuine band. With Zac Brown on lead vocals, plus Jimmy De Martini, John Hopkins, Coy Bowles, Chris Fyar, Clay Cook, Matt Mangano and Daniel De Los Reyes – their stage is full of instruments to create a colorful performance like none other. It's pretty clear why these guys have got long-term success from their album releases as they provide fans a groundbreaking performance every single time – catch them LIVE this Summer/Fall!